In a proposed legislative agenda to be announced at a press conference tomorrow, the Spokane City Council plans to push legislative funding for both WSU's proposed new medical school and UW's proposal for more "WWAMI" medical school slots in Spokane. WSU Spokane's recently constructed health sciences building on the Riverpoint campus near downtown Spokane. But, if the legislative agenda is approved by council, Spokane would push WSU's proposal a little harder. It is, Councilmember Jon Snyder says, a recognition of the extra emphasis the Spokane City Council gives to WSU's proposal. Council President Ben Stuckart echoes that reasoning. “I think a majority of council is very supportive of both WWAMI and WSU,” Stuckart says. “But life is about prioritization, and if I had to choose one or the other, I’d much rather have a medical school more so than more WWAMI slots." In terms of research dollars, prestige, and economic impact, Stuckart just believes that WSU promises a bigger bang. That said, he praises the direction UW is going, and would prefer having both expand. “I think they’re becoming a bigger partner. I think they’re getting there,” Stuckart says. “I’d love to see Spokane, rather than fighting every year for an increase in slots, have two institutions fighting over Spokane." Of course, ultimately, it's the Legislature, not the Spokane City Council, that will make the final funding decision. But in a tough budgetary environment, every little bit of local support helps and every loss of support hurts. There’s been a great deal of public discussion recently about medical education as a means of solving Washington’s physician shortage and growing the region’s economy. With our 40-year history of partnering in community-based health education in the Spokane region, we’d like to underscore our commitment to Spokane’s medical students and the community as we work toward growing the UW program and achieving the most efficient, highest-impact, sustainable solution. Leaders from the University of Washington, Washington State University and the Spokane community met last summer to develop a clear and collaborative path forward to expand medical education and research in Spokane. Each University shared different perspectives on how best to meet the economic and workforce needs. UW Regent Orin Smith and I were enthused and encouraged about the opportunity. We advocated for a united vision, a “mega-brand” partnership that would immediately further expand the four-year medical school in Spokane and fully capture the highest economic value. The plan aligned and built on the $1.6 billion vision developed by Tripp Umbach and championed by the Spokane business community in 2010. We were grateful to have community leaders participate, to encourage us to “think outside the box” and challenge our respective positions. At our final meeting, WSU leaders confirmed that their priority, first and foremost, is to create an independent, startup medical school. That led to the agreement to dissolve our WWAMI partnership and the recent signing of an initial Memorandum of Understanding (MOU). While this wasn’t the outcome we hoped for, we respect WSU’s choice. Looking forward, we believe this decision has presented a new opportunity for the UW School of Medicine and Spokane. The cornerstone and attraction of the UW’s WWAMI program is that it provides the No.1 primary care, family medicine and rural medicine education programs in the country to local communities across the region. We’re committed to maintaining this standard of excellence for our students and eastern Washington. 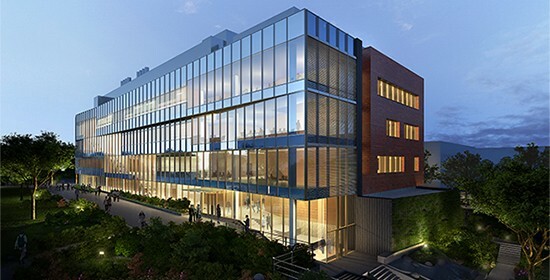 Our vision is to grow by doubling the UW School of Medicine class size in Spokane and to expand our community-based program into a four-year medical school that includes research, in collaboration with community, health care and academic partners. We will continue to establish new residency programs in eastern Washington, the key to more physicians working in this region. This strategy will create the most timely, efficient, cost-effective and high-impact approach to solving the state’s physician demands. Additionally, it will generate immediate, significant economic impacts for the Spokane region without unnecessary duplication of taxpayer costs. Securing funding for this initiative is a top legislative priority during the next legislative session in Olympia. We will ask the state legislature for funding and have already submitted our 2015–17 budget request to the Governor. We thank Spokane and each and every medical and community partner who has collaborated with the UW over the past 40 years in this region. We remain 100 percent committed to the success of Spokane’s UW medical students and to the region’s health care needs today and in the future. For additional information on the MOU signed recently, and for ongoing updates about our plans for expansion in Spokane, I encourage you to visit our website: uw.edu/spokanemedschool.